Hot, sugared doughnuts take me back to my childhood, and summers spent at the annual fun fair. It's the scent that does it for me: the smell of caramelising sugar and freshly made dough always transports me back to being about six or seven, feet getting lost in the long grass, and getting my face covered in sugar, as my sisters and I shared a bag of four between the three of us - we always split the last one into threes. Although the sound of a fun fair (fast, loud, dance music) and fairground rides are in absence, the Freshly Made Donuts Stand has no problem attracting customers. It's safe to say it holds it's own; I always see at least one customer at the stand, no matter the time of day. I've no doubt others flock to the stand for the same reason as myself, but should you need another reason, the prices are pretty low. 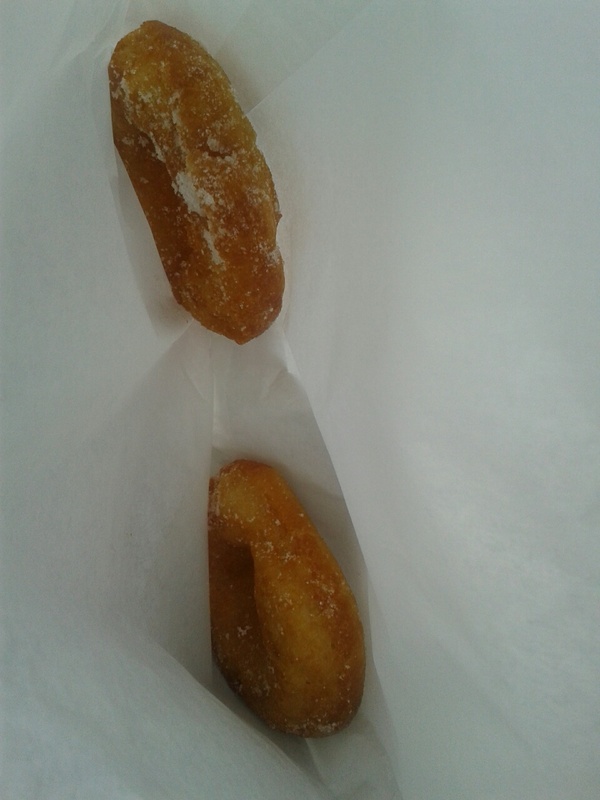 Two doughnuts cots £1.00, and five cost £2.00. If you're just after something sweet buy two because it's more than enough to satisfy one person. Also on sale are typical fairground treats like 'spaceships', candyfloss, and waffles. In the last five years they've introduced more snacks like peanut brittle, white chocolate cookies, and only this year: Devonshire ice cream. 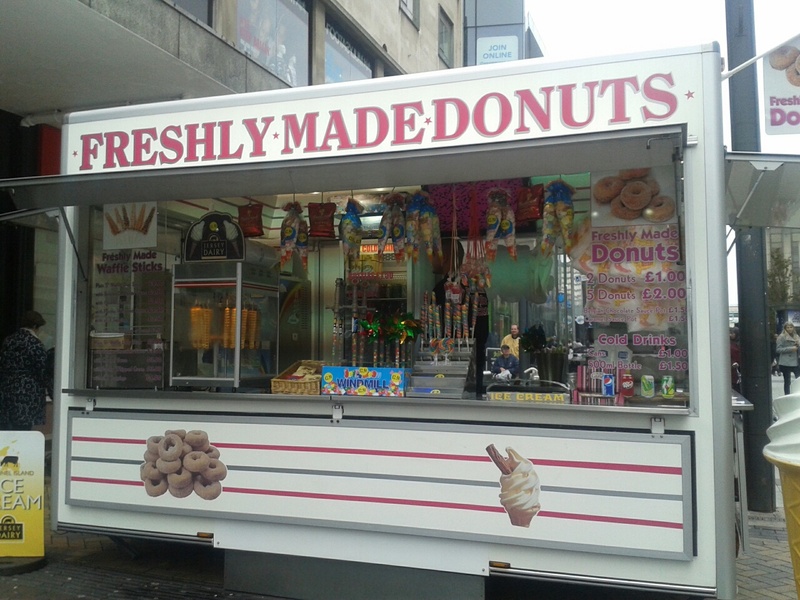 Go for those sugary treats if you like, but this stand is famous in Birmingham for their small, traditionally made, hot and sugared doughnuts. The doughnuts are melt in your mouth good, and quite literally fall apart as you bite into the soft dough. They're really the perfect lunchtime, afternoon-time, or anytime treat which you can't fault. I munched through my two doughnuts in no time earlier today, and I've no doubt I'll be back some time this week. 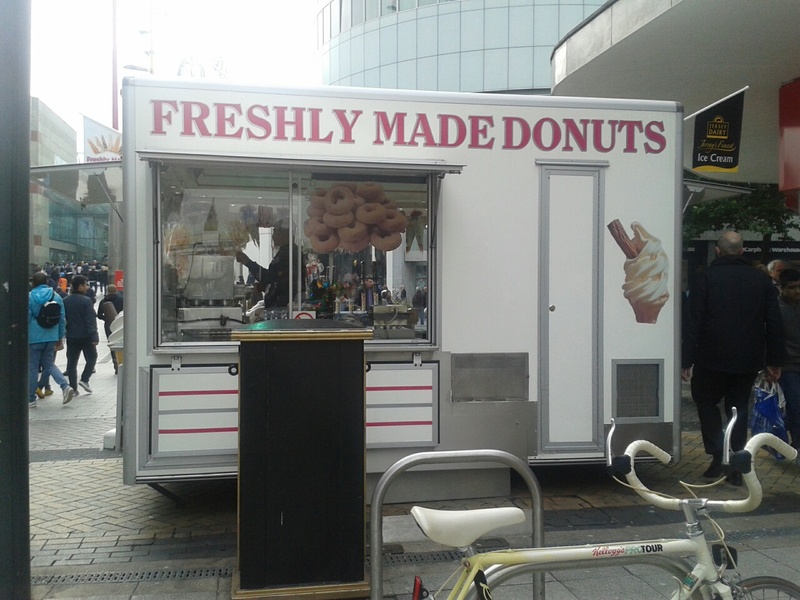 If you do go to the doughnuts stand be careful - they're addictive.